Trekkie Trax turns six later this month, and while the label still feels like a hot-bed of young electronic talent, they’ve actually stepped into a more mature role in the Tokyo (and beyond) community. 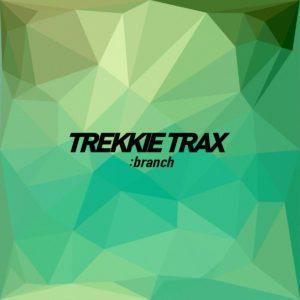 This year they launched Trekkie Trax :branch, a kind of initiative to highlight young producers. And here comes the first compilation from this push, using Trekkie Trax’s standing as a way to shine a light on some younger names. And they chose some good ones! Like most electronic comps, I’d say that if you like what Trekkie Trax have done before that you should just dive in and find your favorites. But for me, highlights include a few familiar names, such as Kai Shibata’s rumbling “Error” and Oyubi’s slippery juke mutation “D-Train” (Trekkie Trax isn’t the only set of folks who love Oyubi, by the way). Get it here, or listen below.